How’s the weather? 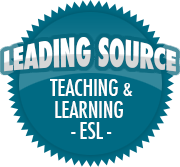 CLIL in action | So, You Think You Can Teach ESL? ← Let’s Bridge STEAM and ESL! Dear readers: For a change of pace, I’m not going to invent the wheel, but will simply share a good idea that’s been used in many classrooms all around the world. I remember the first time I made my very own cardboard thermometer back in kindergarten. I was only four at the time, but was fascinated by the fact that I could “make” the weather as warm or as cold as I wanted, simply by moving the yarn up and down. In the rich world of make-believe, I would shiver as the “temperature” dropped to freezing, and fan myself off as the red yarn slowly crept up to the higher numbers.